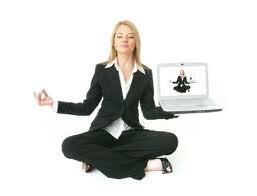 New on-line Spa Management education – our most advanced yet! Raison d’Etre and YHHS (Swedish Cidesco certified School for Spa & Beauty) has joined forces, offering a unique and market-oriented on-line spa management course. The first course starting now in March will be in Swedish and this falls course, starting in October will be in English. Raison d’Etre had worked with over 100 spas in 60 different countries and have educated more than 100 spa managers the past 10 years. YHHS has educated over a 1,000 beauticians and therapists since 1993, and is certified by both Cidesco (Comité International d´Esthetique et de Cosmetologie) and SHR (Swedish certification board of beauticians). Many spa managers are talented and passionate former therapists, leading a very staff intensive, leadership challenging business with a turn over of well over 1 million Euros. A spa should, as any other business have a business plan, marketing plan, and as the most successful businesses further have a HCM (Human Capital Management) plan. Our goal is to educate the spa leaders of tomorrow and give them the tools and knowledge to help them reach their goals. We are so excited about this course, it is based on the past 10 years knowledge of spa management education as well as YHHS vast spa educational expertise, and we truly believe that our attendees will grow and prosper during this course.